It was in the month of April that my Team planned to escape to Lansdowne for a quick getaway and I was a part of the gang!! 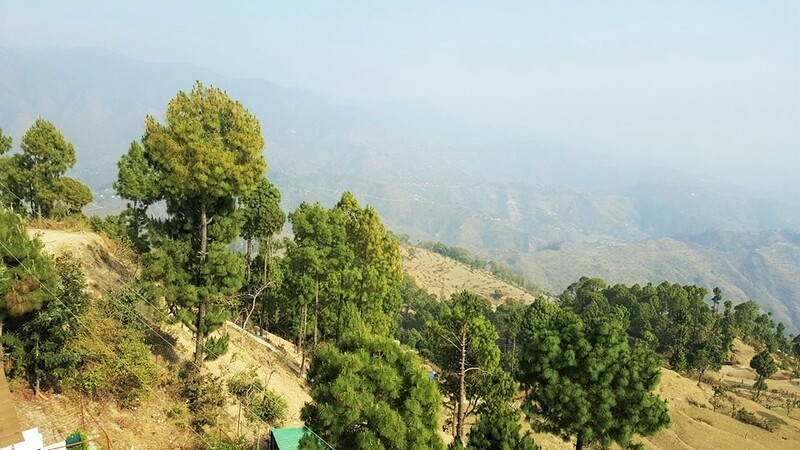 Lansdowne is a hill station very near to Delhi NCR and can be easily visited over the weekend. Hence, we booked a cab and left for our destination on a Friday night, relaxed and had a fun filled Saturday and got back on Sunday. On Monday all of us were back to office!! Doesn’t that sound simple and interesting?? Well, it was not just simple and interesting, it was rejuvenating too. 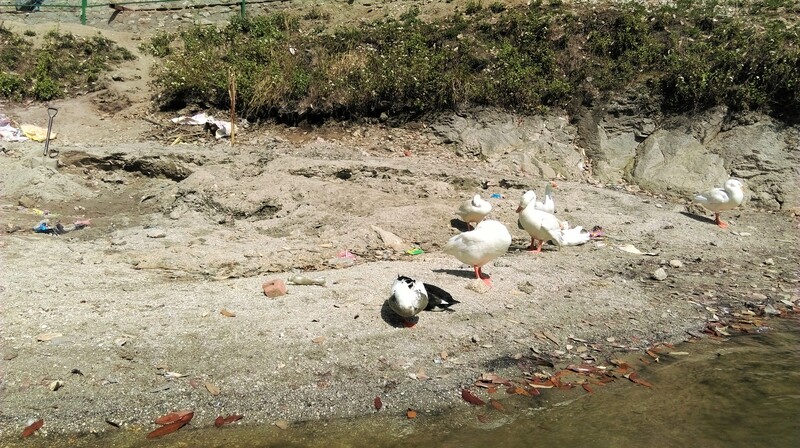 Even a single day away from the hustle and bustle of the city life can really do wonders. We checked in to the hotel “Kasang Regency Hill Resort” at around 5AM on a Saturday morning and I must say, breathing fresh air in the hills was definitely refreshing. The resort is good, located away from the main town and every room has an attached balcony which offers an amazing view. So yeah, if you want to be away from the crowd and enjoy a more peaceful surrounding, this is definitely the place for you. After a short nap, I was ready for the day. While my team wanted to sit back in the resort and relax, I wanted to explore the place and move around. I checked with the receptionist and figured out that Lansdowne was about 7km up and hence I decided to trek. 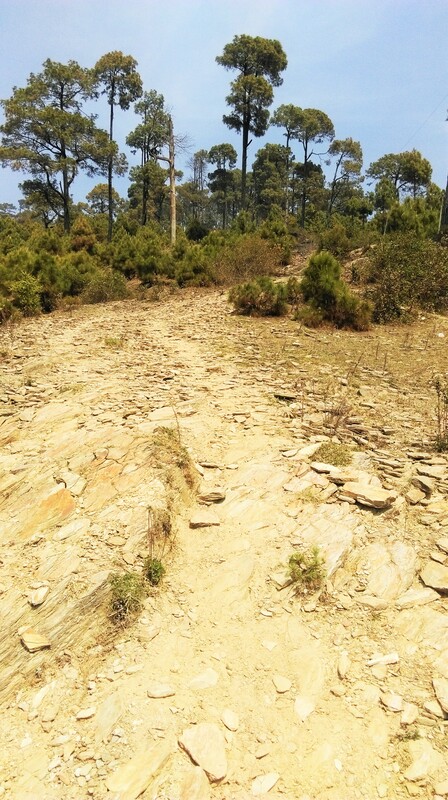 So, I didn’t walk on the pitched road, rather I preferred to take a shortcut up towards the unknown trail with the hope that it will definitely lead me to my destination. In the beginning of the climb I came across houses so I could check with people there to guide me with the direction but after a while it all ended and I had to make my own judgement. 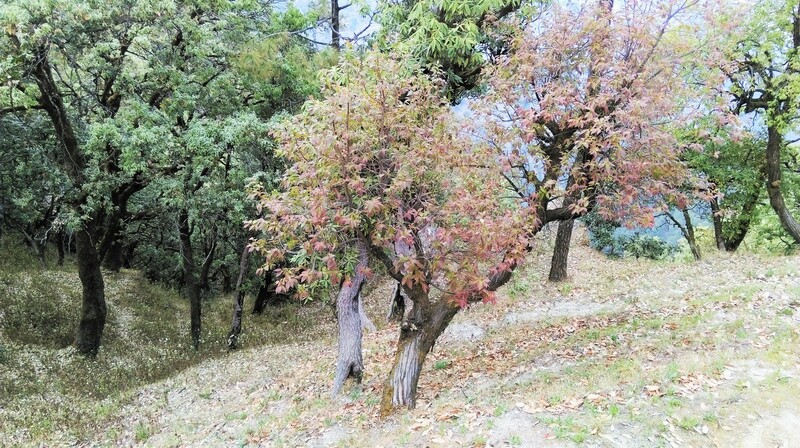 There was no network, hence I could use my phone only to click pictures and nothing else. I kept walking without even knowing whether I was in the right direction. There was nobody around and all I could hear was my own footsteps walking aimlessly in the woods admiring the beauty of the nature. I did feel lost after a while and honestly there came a time when I felt I should go back. After giving it a second thought, I took a deep breath and decided to move forward. 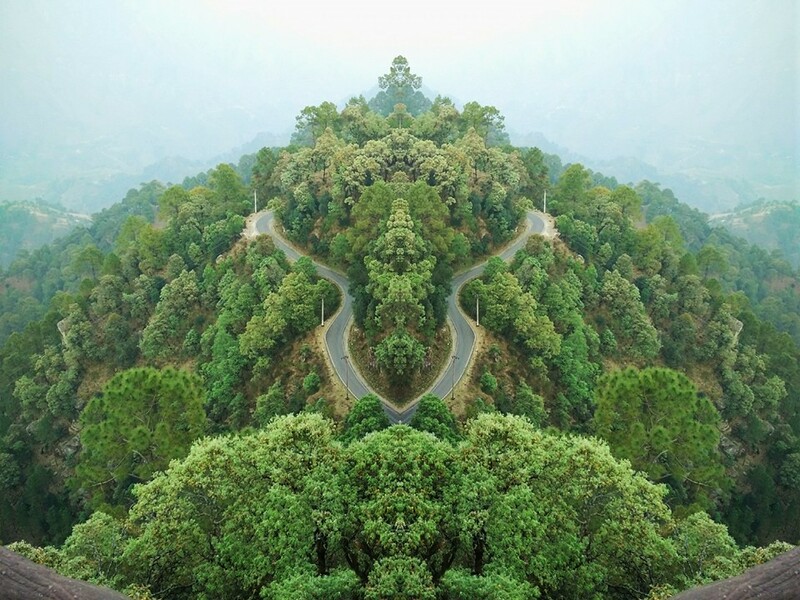 After a while I saw the road and that is the time when I felt that I was nearing and it definitely felt good. I took another deep breath and geared up for the climb. 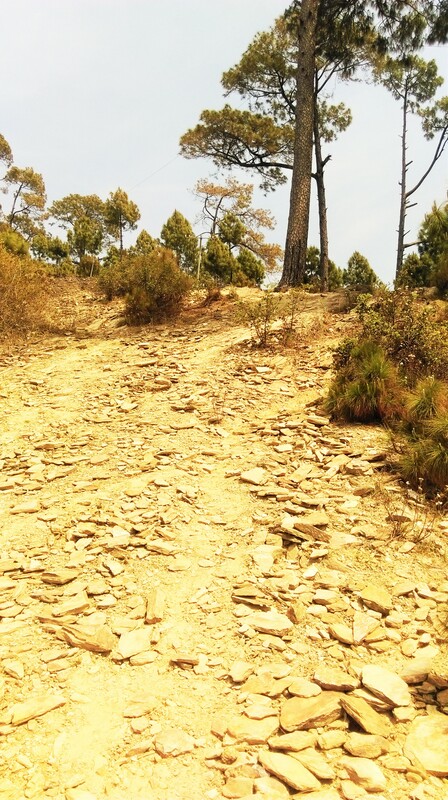 I reached the road but Lansdowne was still nowhere to be seen. I was blank again but that’s when I came across an Army man in a bike whom I stopped to ask the direction. He did offer to drop me but I declined (remember I am from Delhi, I don’t trust people easily) with just noting the directions and moved ahead. 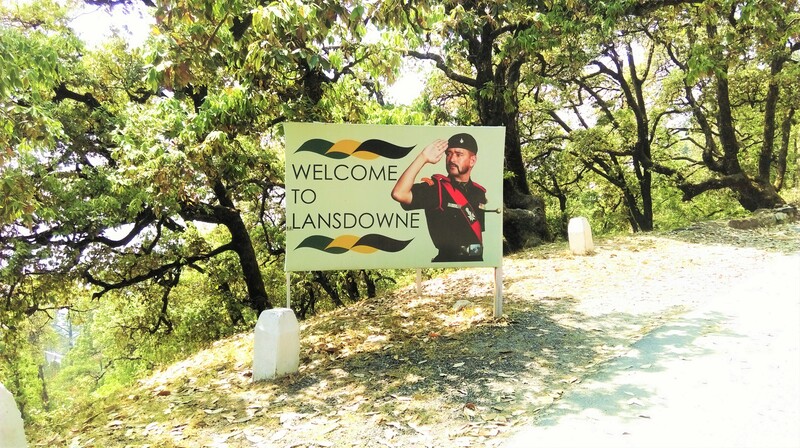 I don’t remember how long I took to reach the place till I saw the board “Lansdowne” on the road!! That was a sigh of relief!! Finally, I reached the main town and sat in a small roadside restaurant for a cup of tea and relax. Felt glad that first target was achieved!! 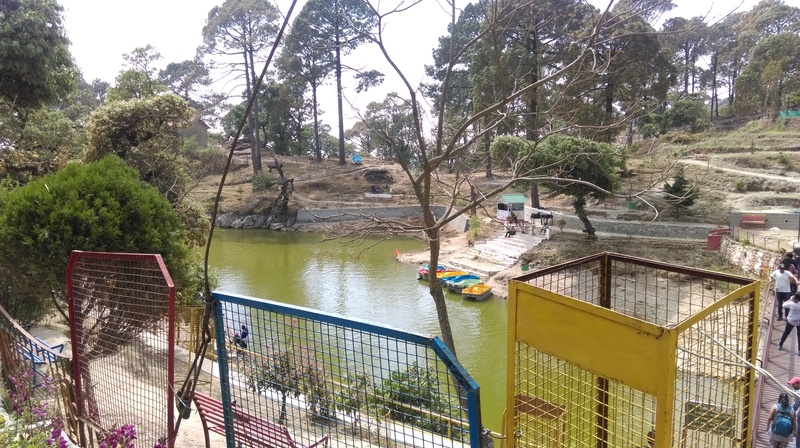 After taking suggestion from the guy at the restaurant counter, I headed towards Bhulla Lake. 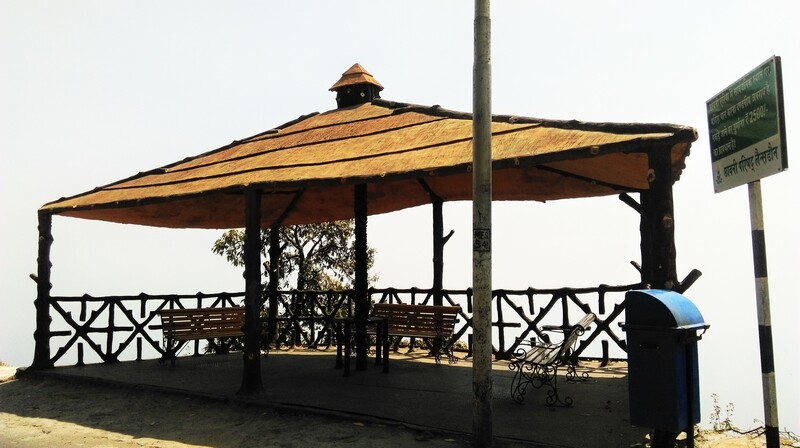 It is a picnic spot away from the main town suitable for family and kids. You can enjoy boating if you want, you’ll see lots of ducks while paddling around the lake, however the lake is not that big. There are not many attractions in Lansdown so this place can definitely be visited. Also, it’s well maintained and very clean; no wonder it’s managed by the Army!! While boating I came across a bunch of enthusiastic “would be” lawyers of our country. Yea there was a group of law students on a vacation. When you’re on your own you tend to come across people and share thoughts, I guess that’s the best part about solo travel. Once you’re done with the boating you can enjoy the meal at the inside restaurant. They have enough varieties and at a very reasonable cost. After our group lunch we decided to visit the museum. 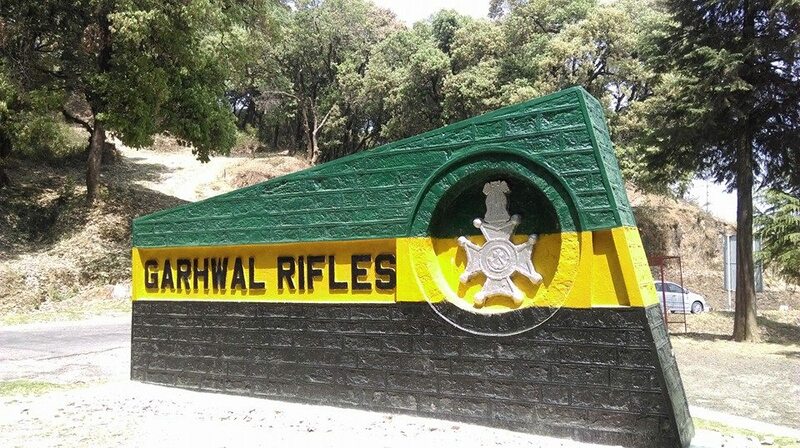 The museum showcases the Garhwal regiment’s history – weapons, medals, trophies, guns… everything displayed there is quite a sight! Closing time is 4PM so if you decide to visit the place, make sure to do so before 4PM. I’m glad we just made it on time. This is definitely a place worth visiting. 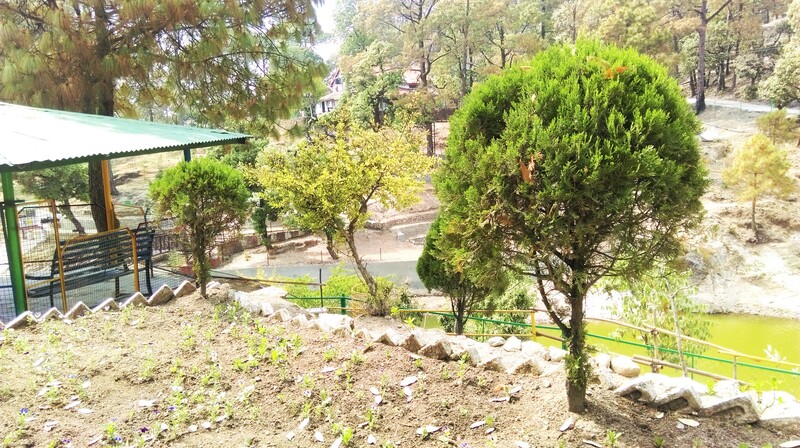 After the museum we headed towards another must visit place while in Lansdowne – Tip N Top. It was evening by then and as the night took over we decided to have dinner and get back to our resort. Saturday indeed was very well spent and I was ofcourse very tired after such an adventurous day. Trek if you can; it’s good to sweat. It’s liberating! !